Why is spray foam insulation better than cellulose insulation? to economize! But honestly, it’s always best to sit and evaluate our options. Let’s take a look at some reasons why spray foam is the best choice for you, your home and family. Just looking at these few things, we see why it is best to go for spray foam insulation. In the long run, it is the best option. Why settle for spending a little bit but having to deal with negative results in the future? Unlike cellulose, spray foam is also better because as seen above, you get better insulation throughout your home when applied. Spray foam is applied in a liquid form which allows for it to enter small areas that cellulose does not reach, filling in all those tiny crevices on your ceiling. When applied it expands. You can cover all your walls or ceilings in a more efficient and faster manner. 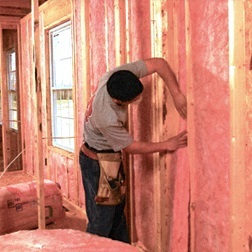 Another important reason on why you should pick spray foam rather is because it does not shrink in size or change its shape when it has been set which is great, unlike cellulose, its power for insulation decreases when the space is compressed causing the power to insulate to decrease with time due to the material settling beneath its own weight. The simple fact of having a better insulating home when using spray foam means that you are spending less on those electric bills you hate to see during the cold season or during those hot days! Whatever method it is that you decide to choose, it all really comes down to one very small and simple factor: insulation is important when creating a cozy and perfect home. Make the best choice!